The Balkans have returned to the forefront of European geopolitics as a result of the New Cold War, with the US and Russia facing off in a proxy war over the planned Balkan Stream pipeline through the region. The geopolitical circumstances have evolved since the 1990s, when all of the former Yugoslavia was lumped together as the Western Balkans. In order to accommodate for the changing strategic reality in the region, it’s necessary to carve the Central Balkans out of the idea of the former, and the new division of the Balkans into Western, Central, and Eastern regions simplifies the analysis of contemporary developments and provides a strategic trajectory to follow in monitoring their future development. The research will focus on the Western and Central Balkans, since the latter is now the object of geopolitical competition between the unipolar and multipolar worlds. The Eastern Balkans are already integrated into NATO and do not play as much of a part over the Central Balkans as the Western portion does, although their evolving role in NATO’s newly unveiled umbrella of regional blocs will certainly be expounded upon in a forthcoming piece. Additionally, Greece occupies a special role because it abuts the Western, Central, and Eastern Balkans and has a unique identity and history separate from the other Balkan countries, although due to its larger geopolitical disposition, it’s grouped together with the Central Balkans in the context of this piece. Nonetheless, it does deserve its own separate article in the future, although the author did touch upon this topic in an earlier interview. Shifting back to the current piece, Part I begins with an explanation for the reconceptualization of the Balkans and then chronicles how this change in thinking came about. Afterwards, Part II examines the key characteristics of the Central Balkans before offering some proposed solutions for their security and expedited integration into the multipolar world. The customary categorization of the Balkans lumps all of the former Yugoslavia into the Western half and Romania and Bulgaria into its Eastern one, leaving Albania and Greece largely undefined and understood simply as “the Balkans”. The justification for this delineation is that most of the former Yugoslavia was undergoing the same process of violent fragmentation during the 1990s, while Romania and Bulgaria escaped these events relatively unscathed (but not without their own unique domestic challenges). At the time, there was no need to draw a geographic distinction between the former Yugoslav Republics, but NATO’s formal and de-facto encroachment into most of the geographic span of the former Yugoslavia, as well as the diametrically divergent foreign policy tracts of some of its former members, formed the impetus in adapting to the new reality and revising the former Western Balkans notion. This encompasses the NATO states of Slovenia, Croatia, and Albania, as well as NATO protectorate Bosnia and de-facto NATO member Montenegro. Looking at a map, one can see that it literally compasses the western edge of the Balkan Peninsula. When compared to its central counterpart, the Western Balkans are the bastion of unipolarity in the region and directly conflict with their ‘prodigal’ multipolar siblings. This was the case during World War II, the 1990s, and into the present day, with Croatia and Albania continuing to behave as the North-South Lead From Behind agitators on behalf of their patrons. Serbia, Macedonia, and Greece comprise the newest category of Balkan strategic thinking, and this new bloc runs through the geographic center of the region along a critical North-South route. Due to its amenable geopolitical positioning as compared to its Western and Eastern counterparts, it holds the promising possibility of forming a North-South corridor (the Balkan Silk Road) that can connect the Eastern Mediterranean with Central Europe and beyond. Russia’s Balkan Stream project forms the critical spine of this new entity (henceforth referred to as the Balkan Corridor) around which further integrational development is expected to gravitate, and accordingly, Moscow is encouraging its partners’ multipolar pursuits and deepening its support for their policies. This entity appeared as a legacy of the early 1990s dissolution of Yugoslavia and the 1994 Dayton Agreement, and it provides Serbia with strategic depth, but also strategic vulnerability vis-à-vis a potential Bosnian breakdown and/or Croatian or Bosnian Croatian provocation. 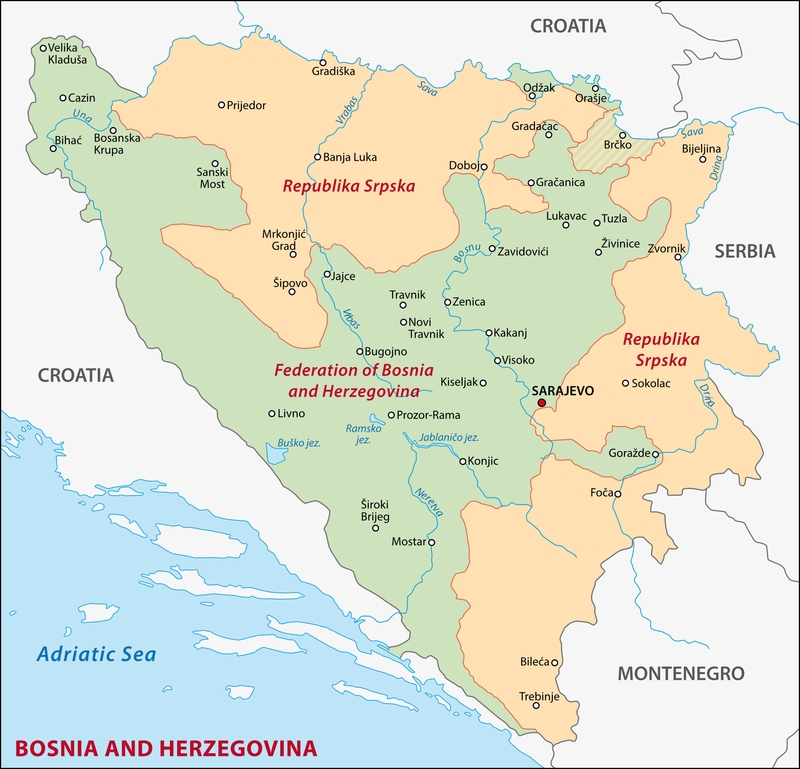 The existence of Republika Srpska can thus be understood as a double-edged sword, however, its emotional significance means that it will never be abandoned by Serbia and must accordingly be considered as a de-facto extension of the Central Balkans into conventional Western Balkan territory (Bosnia). The Serbian Province of Kosovo is currently occupied by Western forces (the US’ Camp Bondsteel is one of the largest American military bases in Europe) and illegally seceded from Serbia in 2008 with Western support. It functions as a Western outpost smack dab in the middle of the Central Balkans, of which it’s geographically (but no longer de-facto politically) a part. Of the two, the occupied Serbian Province of Kosovo is more directly under the control of the West and a more heavily fortified forward-operating post for unipolar aggression than Republika Srpska is for Serbia and the Central Balkans’ multipolar defense. The strategic concept of the Central Balkans wasn’t formed overnight, and it’s informative to highlight the key events that led to its logical conceptualization. The catalyst for its creation was the unipolar world’s efforts to shrink Serbia and politically shackle it and Macedonia to the EU as backwater political and economic appendages (‘New Bulgarias’), while Greece has always found itself outside the European ‘mainstream’ and has historically behaved as a bridge between East and West. The coupling of Serbian and Macedonian resistance with the Greek identity’s incompatibility to enforced ‘Europeanization’ (nowadays manifested as severe austerity) provided the perfect mix for these states’ secession from the unipolar Western Balkans and strategic incorporation into their own multipolar Central Balkans category arranged around Balkan Stream. Serbia constituted the center of gravity for Yugoslavia, and thus, the entire Western Balkans. Yugoslavia began to formally disintegrate this year, with Croatia serving as the Lead from Behind proxy for accelerating this process. The ethnic cleansing and genocide of Serbians in Croatia and Bosnia led to the diminishment of Serbian-populated territory, and subsequently, such lands were retained by their associated former Yugoslav Republics and not incorporated into Serbia proper. Areas that could have become conceptually incorporated into the Central Balkans (from the sense of being Serbian-populated) remained in their geographic Western Balkan zones for later formal or de-facto incorporation into NATO, thus setting the stage for part of the West-Central Balkan split. 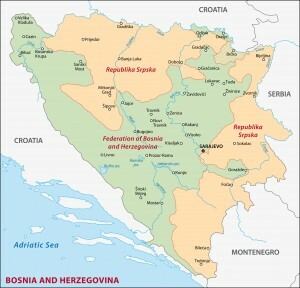 The Dayton Accords represented a temporary cessation of the campaign to split Serbia, but in the meanwhile, its leadership was demonized and plans were made for the next step of the destabilization; the formal redrawing of its internationally recognized borders and the testing of a new regime change technology, Color Revolutions. 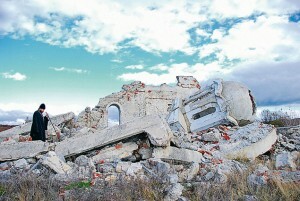 Ruins of an Orthodox Christian church in Kosovo. NATO launched its formal aggression against Serbia (then still known as Yugoslavia) in order to steal Kosovo, the cradle of its civilization, and set up a strategic base in the heart of the Central Balkans. It’s around this time that Croatia passed the torch of anti-Serbian destabilization to its Albanian partner and Tirana became the US’ primary Lead From Behind regional ally. The US also demonstrated for the first time that it would use force in order to create Greater Albania, a politically convenient client state and an anticipated anchor of unipolarity in the Balkans. The US overthrew Slobodan Milosevic by successfully testing the first Color Revolution (the “Bulldozer Revolution”), a political technology that would later be perfected in various other theaters and boomeranged back to the Balkans 15 years later for deployment in Macedonia. Albanian destabilization in Macedonia culminated in a ‘soft’ NATO intervention and the implementation of the Ohrid Agreement, which while guaranteeing the Albanian minority the world’s most generous minority privileges, also made them susceptible to being manipulated by Western political forces. The Western expectation at the time was that this would create a lever of deep indefinite influence that they could use to hijack Macedonia’s independence and steer it towards unipolar submission. Montenegro votes for independence from Serbia (then still called Yugoslavia) and becomes the last constituent member of the Western Balkans pro-American constellation. The occupied Serbian Province of Kosovo unilaterally declares independence as directed to do so by its Western occupiers, in a move that was meant to ‘legitimize’ their presence in the region and perpetually keep Serbia and Macedonia in check. It also represented the formalization of the unipolar Western Balkans’ penetration into the heart of the Central Balkans. The US’ two most prominent Lead From Behind partners in the Balkans, Albania and Croatia, both join NATO in what is the military bloc’s most recent formal expansion and certainly not a coincidence. The US was rewarding both of its allies for their destabilization of Serbia, the former core of the Western Balkans, and protecting them with mutual defense guarantees for any future provocative actions they take against Serbia (or in the Albania’s case, also against Macedonia). Belgrade and Skopje stated their formal wish to be integrated into the EU and NATO, however, Serbia and Macedonia’s respective proud refusals in refusing to recognize the illegally enacted ‘independence’ of Kosovo and in changing its constitutional name kept them on the periphery of these processes and stalled their Euro-Atlantic ambitions. This in turn caused them to reconsider their strategic trajectories and eventually made them susceptible to the multipolar pivot that they enacted when they agreed to partner with Russia in building Balkan Stream. The lesson to be learned is that the West’s disrespect for both countries’ domestic legislation, sovereignty, and independence led to what may in hindsight be considered the first ‘revolt’ against the EU. These two countries are the only ones to stand by their identity in refusing to be bullied by Brussels, as all current EU members (including the ‘revolting’ ones such as Greece) had to at one time sacrifice their self-conception in order to become part of the larger European ‘whole’. After being charged with a coup attempt in January, Zaev reacted by initiating his Color Revolution attempt in Macedonia. Later on in April, Albanian Prime Minister Edi Rama formally declared his intention to create a Greater Albania, and by the end of the month, the small Macedonian town of Gosince was the scene of a test-run terrorist attack by the Kosovo Liberation Army separatist terrorist group. A few days later, a terrorist attack surprised the Republika Srpska city of Zvornik, likely staged as a means of sending an indirect threatening signal to Serbia. A little over a week later, the northern Macedonian town of Kumanovo was the scene of deadly terrorist violence by the KLA that represented the first strike in an American-directed Greater Albania campaign against the country’s pragmatic government and Russia’s Balkan Stream pipeline plans. Pingback: Refugee Crisis or Green Transversal Project for Europe?